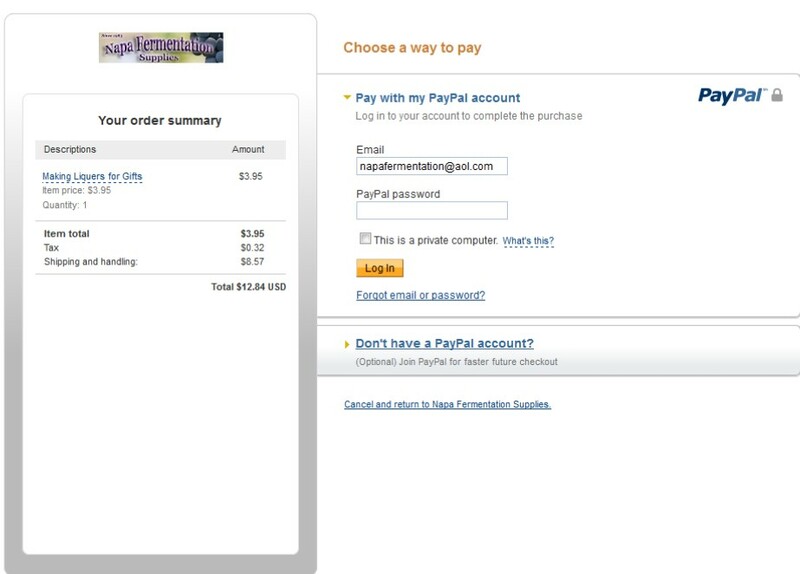 You do not need a PayPal account to use our shopping cart. PayPal is our processor for all transactions so you will be transferred to a PayPal page in the final step of the check-out process. Simply click on the link: "Don't have a PayPal account" (see below) on the secure login page to enter your credit card number. If you want to pick up at the store you will need to click the "change" button in the bottom right corner of the shopping cart page that is directly below the PayPal button and change the option from ups ground to will call.